Nearly 2,000 boat people from Myanmar and Bangladesh have been rescued or swum to shore in Malaysia and Indonesia, authorities said Monday, warning that yet more desperate migrants could be in peril at sea. 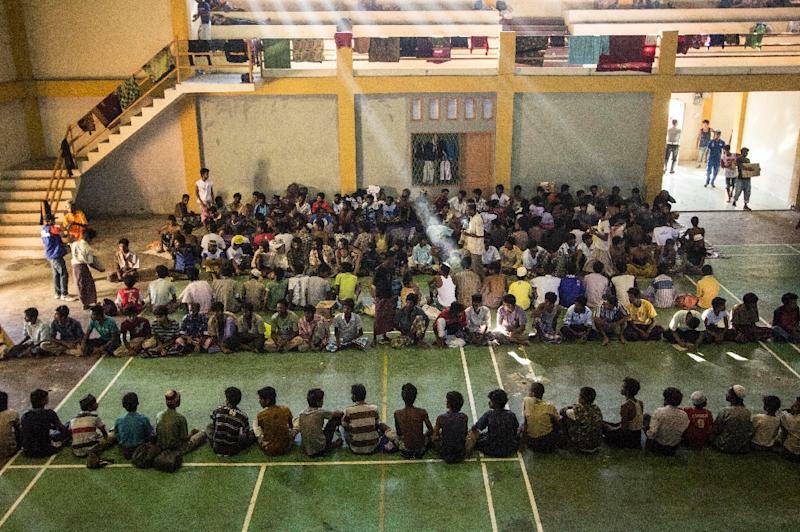 Thousands of impoverished Muslim Rohingya -- a minority unwanted by Myanmar's government -- and Bangladeshis brave a perilous sea and land trafficking route through Thailand and into Malaysia, Indonesia and beyond every year. Indonesian authorities said they intercepted a boat off the coast of the northwestern province of Aceh early Monday with estimates of at least 400 people aboard, a day after 573 people described by one official as "sad, tired and distressed" came to shore in Aceh. He said the vessel was damaged but afloat and its captain had fled. The navy was supplying the ship with water and food but the spokesman said there were currently no plans to allow it to berth. "We are on standby and ready to rescue them when we receive an alert," Budiawan said. Buddhist-majority Myanmar views its population of Rohingya, estimated at more than a million, as illegal Bangladeshi immigrants, with an official from the Myanmar president's office insisting that Bangladesh was at "the root" of the problem. 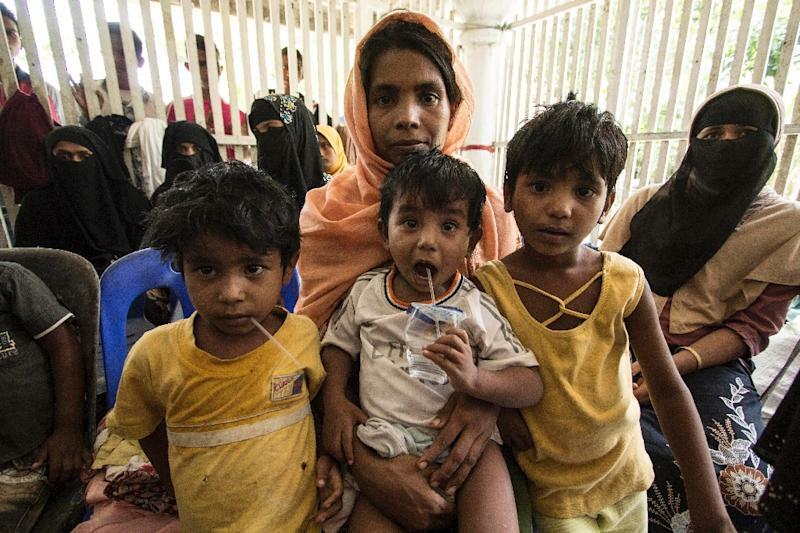 "The issue is whether these people -- who say they are from Myanmar -- really come from Myanmar," Zaw Htay told AFP on Monday, adding that the government did not "accept" the term Rohingya. Rohingya have been targeted in outbreaks of sectarian violence in Myanmar in recent years, prompting many to flee. 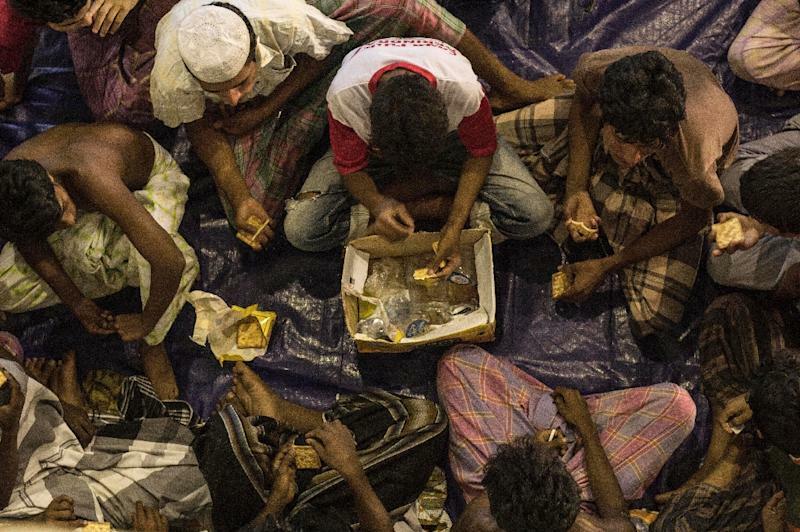 The UN considers Rohingya to be among the world's most persecuted minorities. They were falsely told they had arrived in Malaysia -- a relatively prosperous magnet for migrants for surrounding nations -- and ordered to swim to shore.